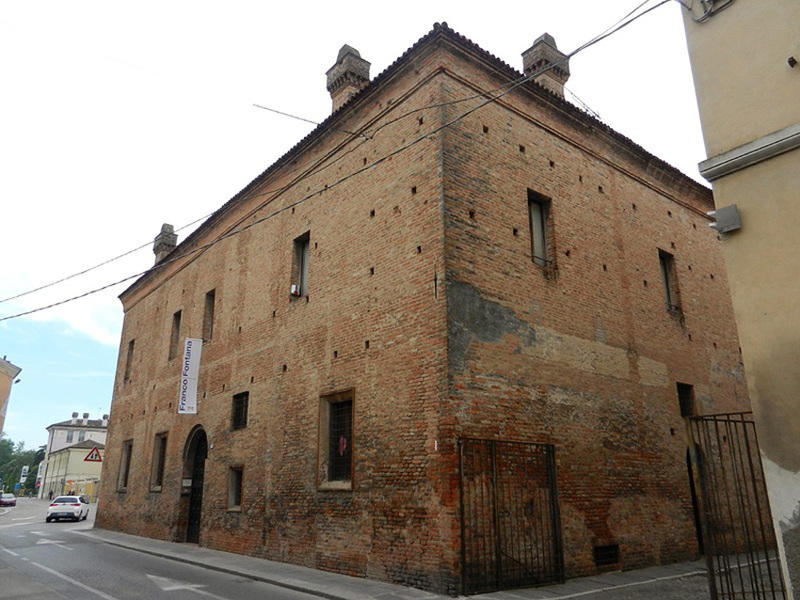 The Casa del Mantegna (also called Casa Mantegna) was built in 1476–1502 in Mantua for the famous painter Andrea Mantegna. 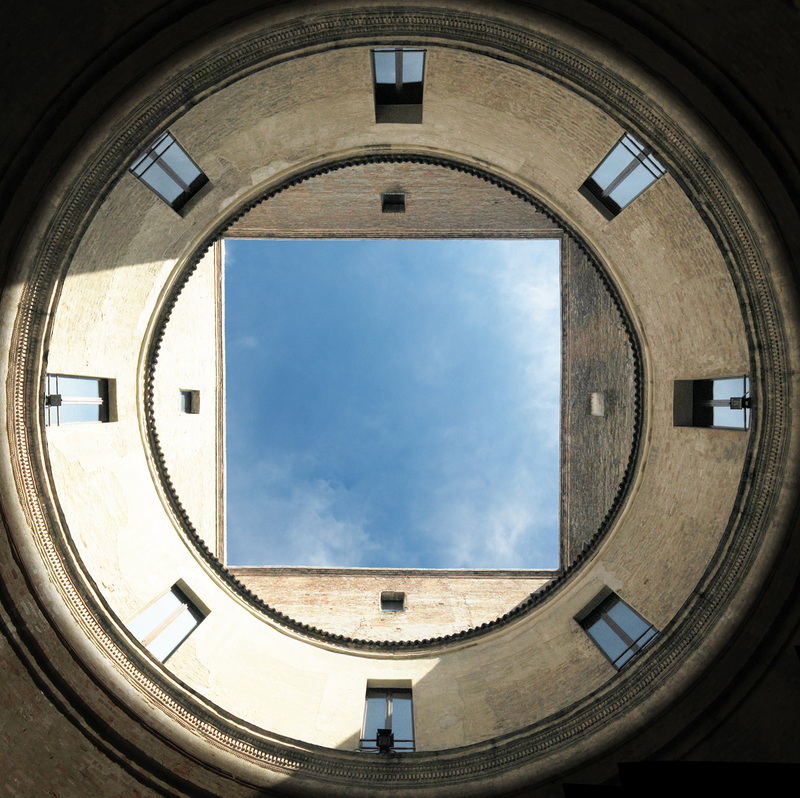 The design was revolutionary, consisting of an external cube containing a circular atrium open to the sky and echoing a Roman amphitheater, set back slightly in the square to create larger frontal spaces to left and right. The overall proportions were calculated from complex mathematical, geometrical and probably musical harmonic principles. The Casa del Mantegna (also called Casa Mantegna) was built in 1476–1502 in Mantua for the famous painter Andrea Mantegna. The date October 18th 1476 is still visible in the corner marble slab on the left-hand side of the façade. Ludovico Gonzaga gave him the land, as that was the easiest way for him to pay for the Painter’s services. Mantegna himself projected his house but it took him twenty years to finish it and unfortunately soon after that, in 1502, he was forced to sell it to Francesco Gonzaga as part of a business exchange. When Mantegna conceived the house, the principles of classical architecture and their application to modern building were a subject of passionate study and debate. The polymath Leon Battista Alberti at about that time provided Ludovico Gonzaga with designs for two churches in Mantua, San Sebastiano and the basilica of Sant’Andrea, thatdrew on classical forms, with facadesborrowing elements from Roman temple fronts and triumphal arches. The structure of the house is very peculiar: a cubic building with a cylindrical courtyard at the center. 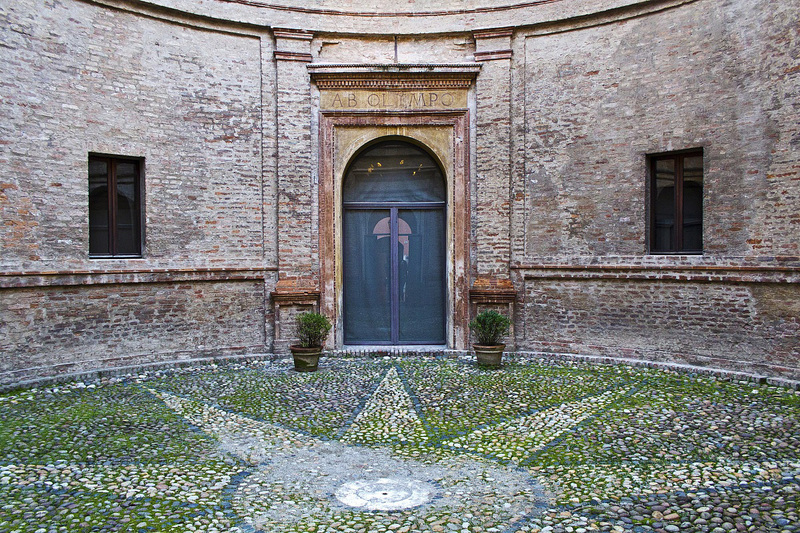 The House is defined by the geometry of this courtyard. 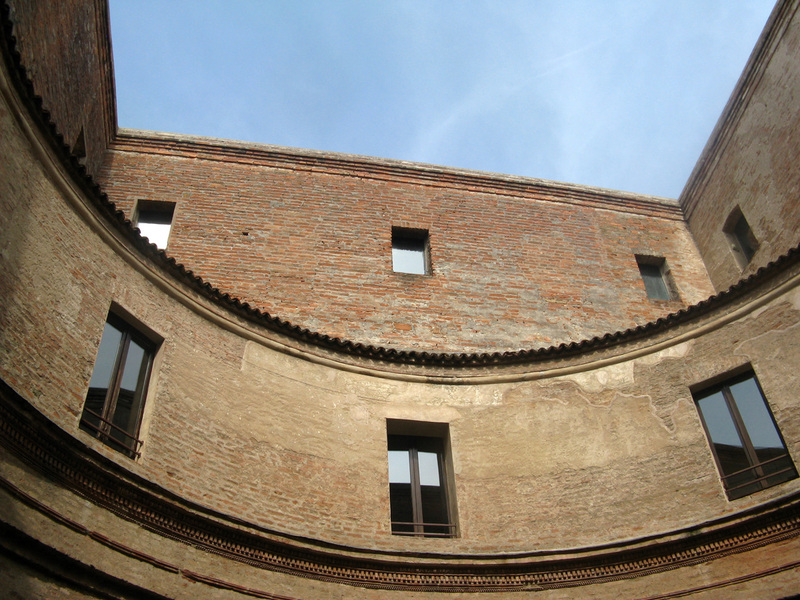 A two floors cylinder intersects with a square to achieve the “squaring of the circle” in the courtyard. 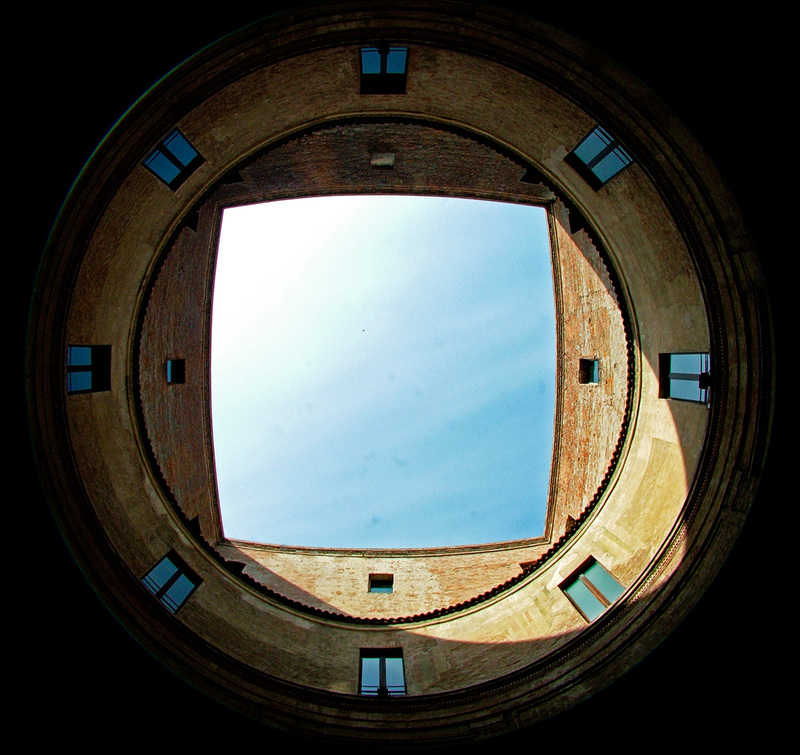 The interior windows follow the geometry of this cylinder having a small curvature. 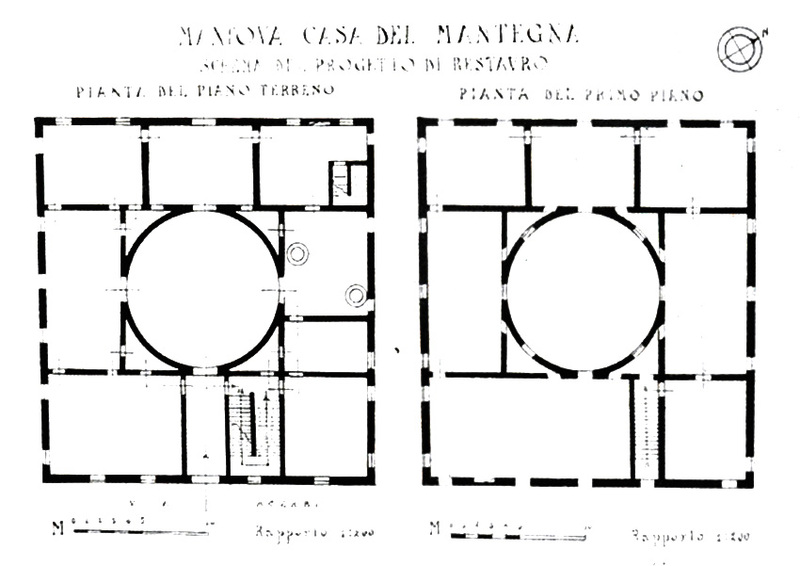 This may recall the structure of a Roman domus with the rooms opening onto the courtyard, but it also seems to recall the typology of the buildings suggested by Leon Battista Alberti, with the symbolic use of the square and the circle, besides already experimented by Mantegna in The Oculus of the Bridal Chamber in St. George’s Castle. 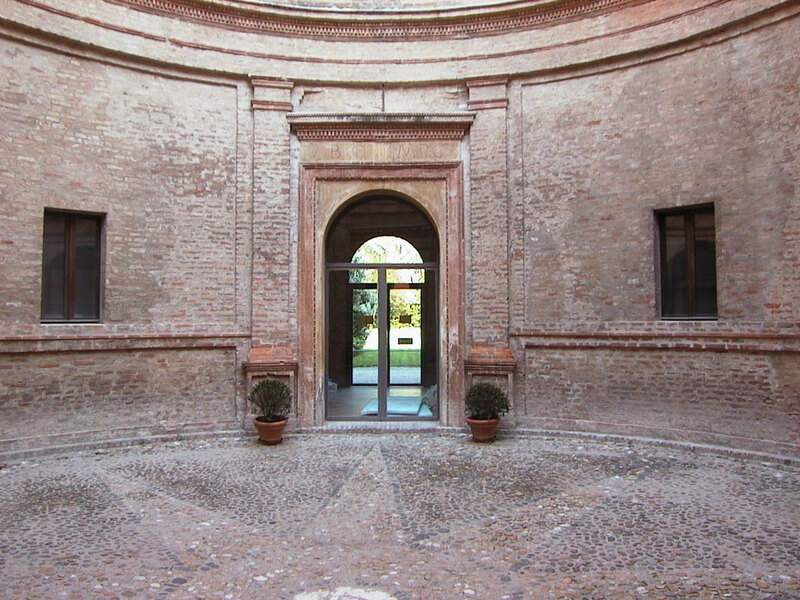 In the rooms opening onto the round courtyard are still visible traces of decorations along with the emblem of Marquis Ludovico II. The courtyard was probably covered by a little dome, now lost. 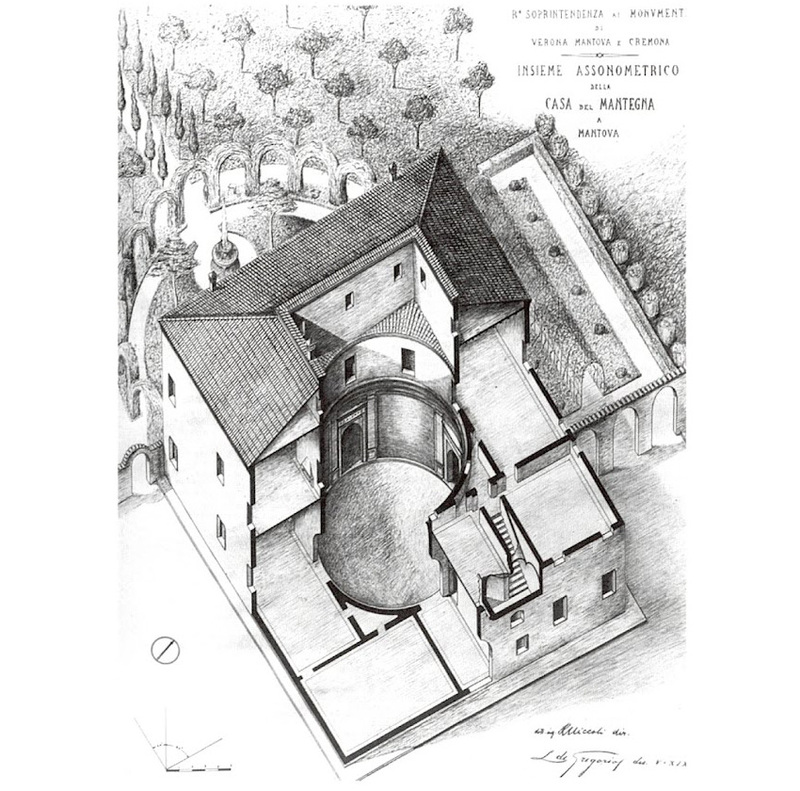 Cite this article: "1502 Italian House: Casa Mantegna / Andrea Mantegna," in ArchEyes, March 28, 2016, http://archeyes.com/casa-mantegna-house-andrea/.